View photos from CCST's 2019 Science & Technology Week, a capitol celebration of 30 years of Science at Your Service. 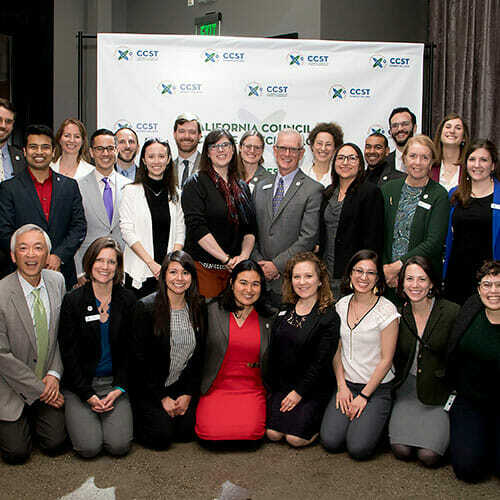 Photos from our S&T Week Reception, California Science Translators Showcase, and our CCST Expert Briefing coming soon. Want to make a difference? 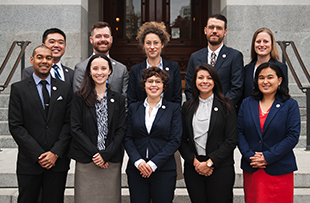 Every year, we recruit PhD scientists and engineers to spend a year serving the California State Legislature. Gain valuable career training in public policy. Video of our April 4th briefing is now available. 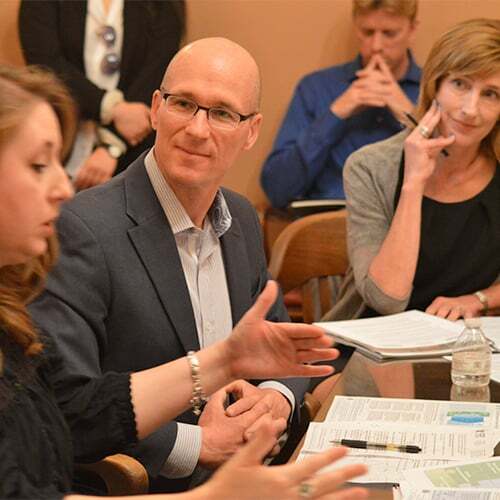 A team of experts from CSU Chico, Lawrence Berkeley National Lab, and Stanford University School of Medicine who are studying the impacts of wildfires on air and water quality discussed a wide range of issues at the State Capitol. CCST seeks an Executive Director to lead the organization in fulfilling its mission supporting policy and decision-making in California regarding science and technology issues. The position will be located in Sacramento together with a staff of 12 full- and part-time employees. The Executive Director, who serves as an ex officio member of the Board of Directors, is responsible for developing programs and services to provide science, engineering, and biomedical advice to the State of California’s government and is the chief executive responsible for CCST’s administration, fund raising, budgeting, and managing the CCST Science Fellows Program. The Executive Director also plays a crucial role in working with the Council’s Partner Institutions to achieve their public service missions. CCST is requesting proposals to conduct an evaluation of the impact of the CCST Science Fellows program over its ten-year life, including a full description and justification of metrics used to evaluate impact. In addition to a retrospective study, the chosen evaluator will provide findings and conclusions to support a final set of recommendations for program improvement going forward, and an ongoing monitoring and evaluation plan. Watch the video of CCST's Expert Briefing for a discussion with a team of experts from UC San Diego, UC Berkeley, and NASA-Ames/CSU Monterey Bay who are developing and implementing technologies to provide real-time information on wildfires to emergency responders. The Board provides strategic vision and direction, and has fiduciary responsibility for CCST. Distinguished leaders from academia and industry—including those representing our Sustaining Institutions and Federal Laboratory Affiliates—form the 16 members of the Board. The CCST Council is comprised of California-based scientists, industry leaders, and scholars. The Council serves as the principal subject matter body of experts fulfilling CCST’s charter to respond to the Governor, the Legislature, and other entities. The Council members provide expertise directly or by tapping into their extensive networks of scientists and engineers. CCST’s Senior Fellows—an invited roster of distinguished scientists and technical experts with deep experience, spanning Nobel Laureates to entrepreneurs—are called upon to help identify relevant experts to author the organization’s reports and respond to other requests for expertise. 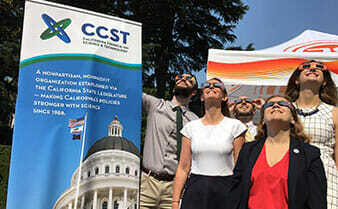 Every year, CCST places ten PhD scientists and engineers in the California Legislature for one-year appointments. 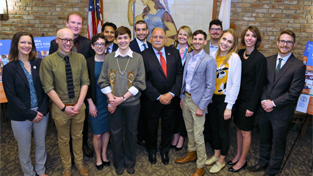 CCST Science Fellows work hands-on with policymakers addressing complex scientific and technical issues, as well as assuming other responsibilities of full-time legislative staffers. CCST staff implement programs as directed by the Board, providing policy analysis and project management, and serving as direct liaisons between state leaders and the Council. Staff members support CCST’s growing network of experts and continually cultivate new contacts within the legislative and scientific communities. Staff also provide vital training and year-round support for CCST Science Fellows serving in the Capitol - enabling them to deliver the critical non-partisan technical analysis that state legislators need to drive scientifically sound policies forward. Comprised of business, science and philanthropy leaders from around the country, the Fellows Advisory Committee provides strategic advice and helps build the network of financial support necessary to sustain and enrich the program. For more than 30 years, CCST has worked to tailor its services to meet the needs of the Capitol policy community, particularly when it comes to providing impartial advice and expertise on sensitive scientific matters. By leveraging its network of experts distributed throughout the University of California, California State University, California Community Colleges, Stanford, Caltech, and NASA and DOE campuses, CCST can respond to a variety of decision maker requests for assistance. Contact CCST to speak to an expert in a specific scientific or technological field, secure expert testimony for a hearing, arrange for an in-office meeting with a researcher, organize a panel briefing, commission a brief report or full-fledged research project and publication, and more. 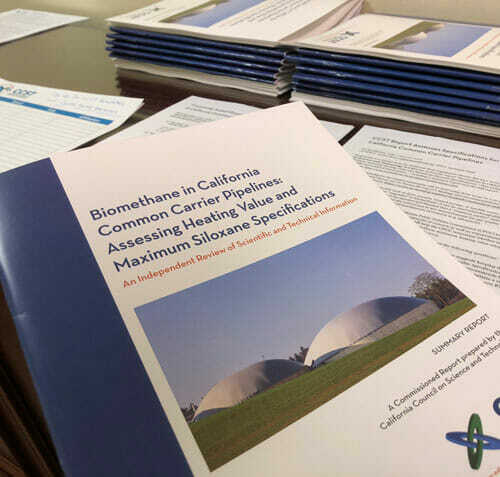 We facilitate informal chats, expert testimony, briefings, workshops, reports, and more for California policymakers. CCST convenes trusted experts to produce rigorously reviewed scientific reports that aid state leaders in making critical decisions. Providing Capitol decision makers with succinct, impartial information that satisfies the tight deadlines of state leaders. 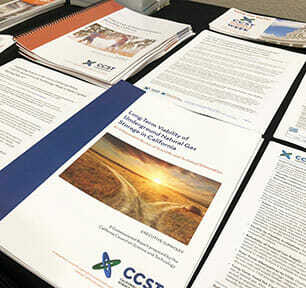 CCST’s annual Science and Technology Week celebrates the importance of science in informing California policymaking. We are proud to uphold these standards, ensuring that policymakers have the information necessary to craft policies made stronger with science—in California and beyond. 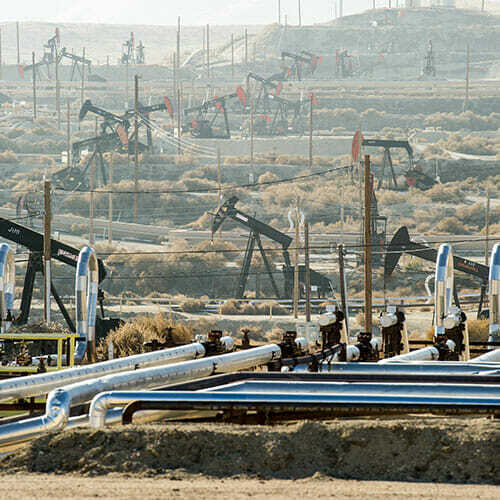 Potential health risks and community impacts of natural gas production and storage. 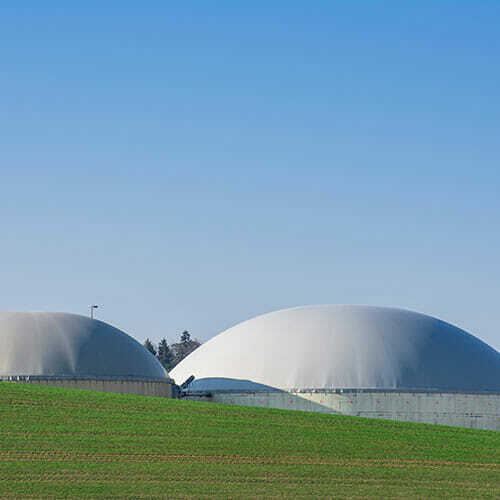 Impacts on cost of biomethane, volume sold, and equipment operation. 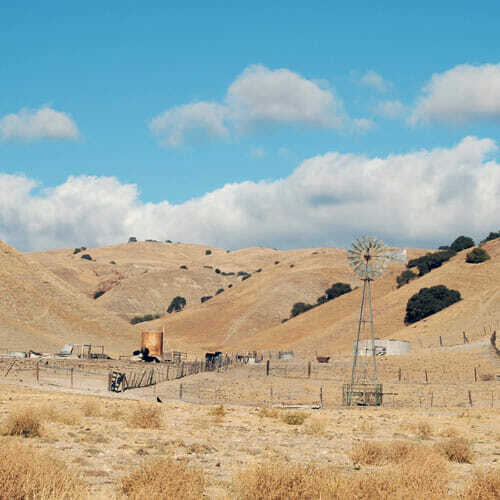 Understanding how deserted and orphaned wells affect the State of California. 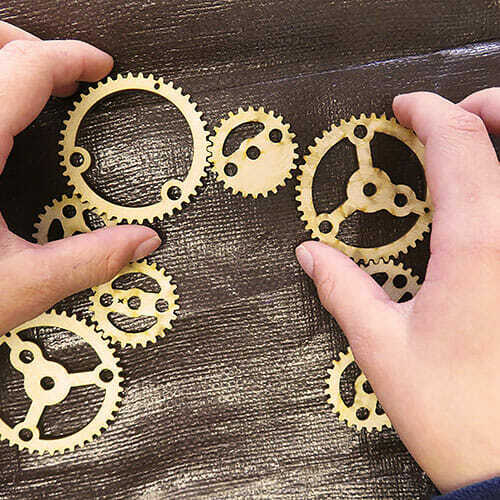 Developing a sustainable network to aid the growth of the Maker Movement. 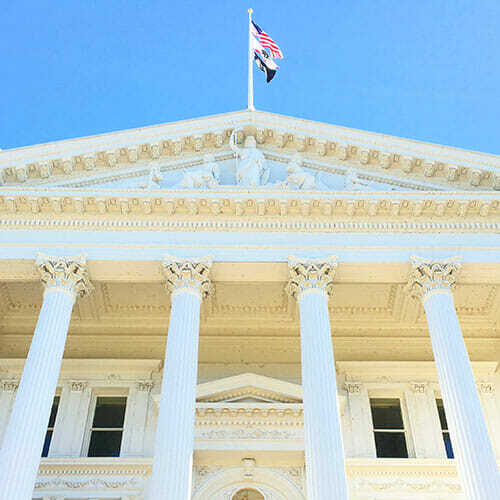 As a trusted non-partisan partner of the California Legislature and Executive Branch, we develop and publish reports on some of the most timely and important issues critical to California’s future. Our publications ensure that the public has access to unbiased insight into important scientific matters, while giving policymakers at the state and national level the information necessary to craft policies that reflect current scientific understanding. All of our publications are freely available, and can be viewed by browsing the full list of reports, or by using the search bar. California’s policies are stronger with science. By donating to CCST, you help to support a more informed California, and to improve the lives and wellbeing of the 40 million inhabitants impacted by the choices made by the state’s decision makers.